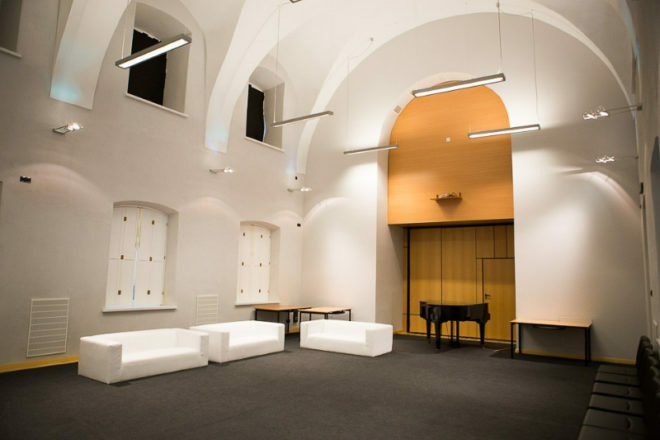 The Centre for Culture in Lublin offers its spaces for conferences, presentations, banquets or special meetings. 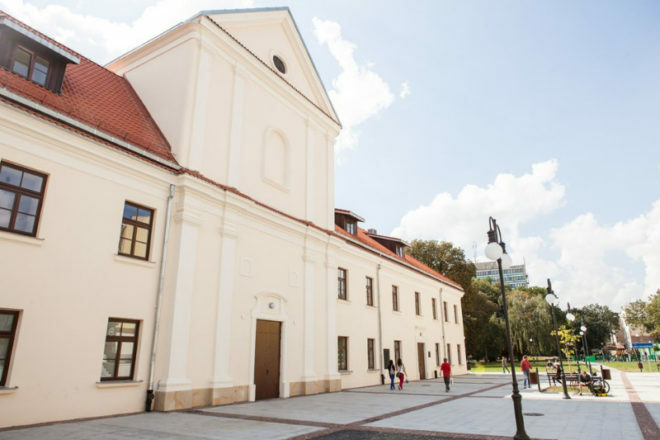 Most of the spaces of the renovated Visitation Order’s Convent today serve the activities of the Centre for Culture, Hieronim Łopaciński Municipal Public Library and the Centre for Intercultural Creative Initiatives “Crossroads”. They can be rented out unless it interferes with the cultural events taking place at the Centre for Culture. The building has an excellent location in the city centre, adjacent to several hotels and a guarded underground car park. The property is accessible for disabled people. The building has a cloaks room for 250 people. Main Performance Room is the heart of the building, but also a place of rich and fascinating history. 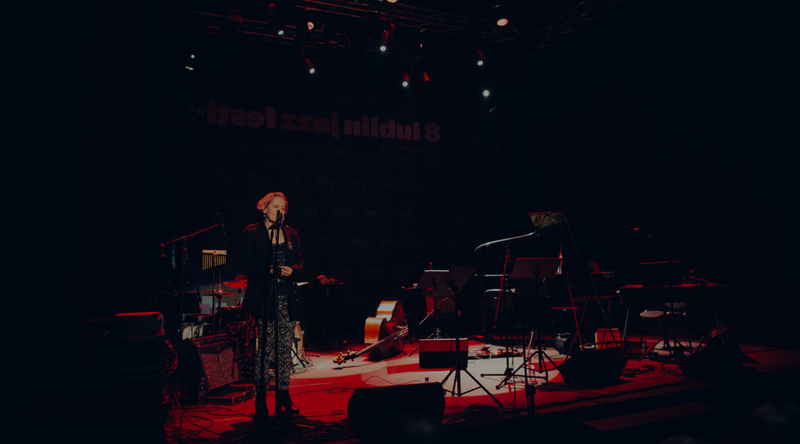 Over the years it has changed its functions numerous times: it used to be a Convent’s church, an Orthodox church, a military casino, and later the main stage for theatre-makers connected with the Centre. 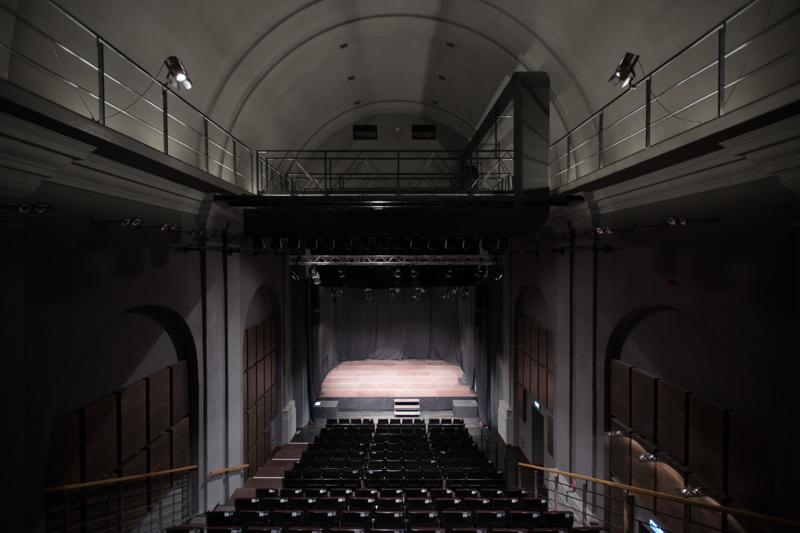 At present, after merging of the two storeys, the original shape of the hall was restored and a modern space was created for presenting mainly small and large stage forms as well as for conferences, lectures and meetings. 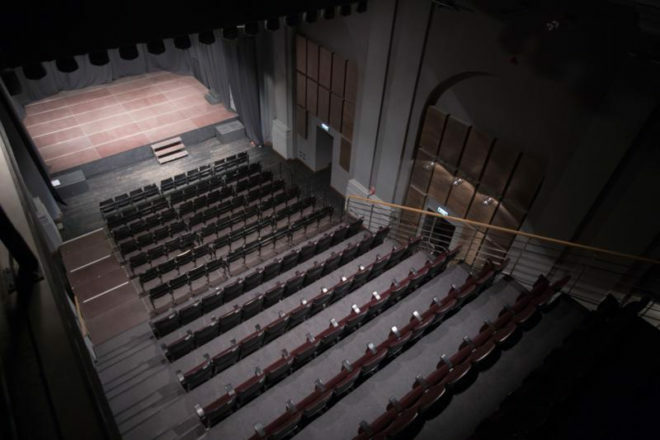 The unique atmosphere of the hall is created by the stage situated in the place of the former altar. 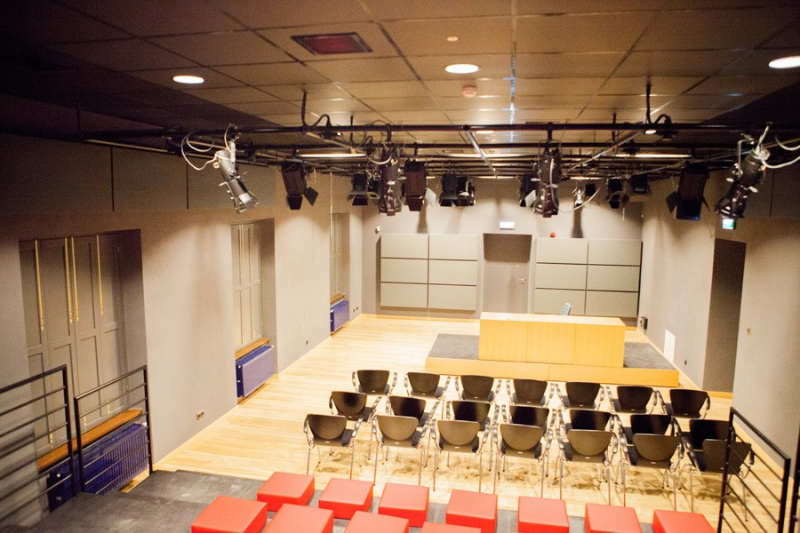 The space of the Main Auditorium can be adapted according to the needs of particular events. 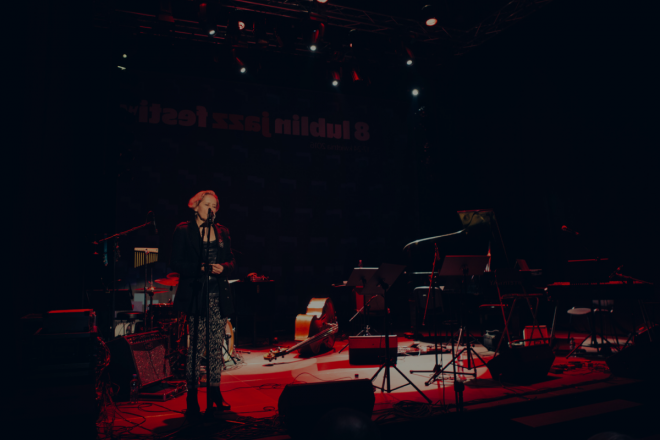 It is possible to strike down the stage, as well as to remove the front rows of the audience. The Oratory is adjacent and connected with the stage of the Main Auditorium, but it can be a separate and independent space. 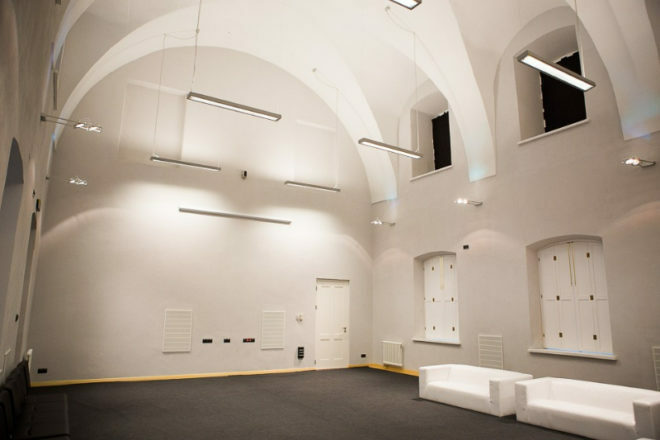 The original architectural layout of a chapel, which was located here during the convent’s time, was restored in this space. Thanks to its extraordinary climate, this space is perfect for banquets, informal meetings, conferences, lectures and workshops. Main Auditorium and the Oratory are located on the ground floor. The Black Room is known to many cultural lovers who have visited the building and its cultural institutions for years. It has changed its role many times in the past, starting from the novice’s quarters, through a hospital to a place where theatres worked and some legendary performances were created. 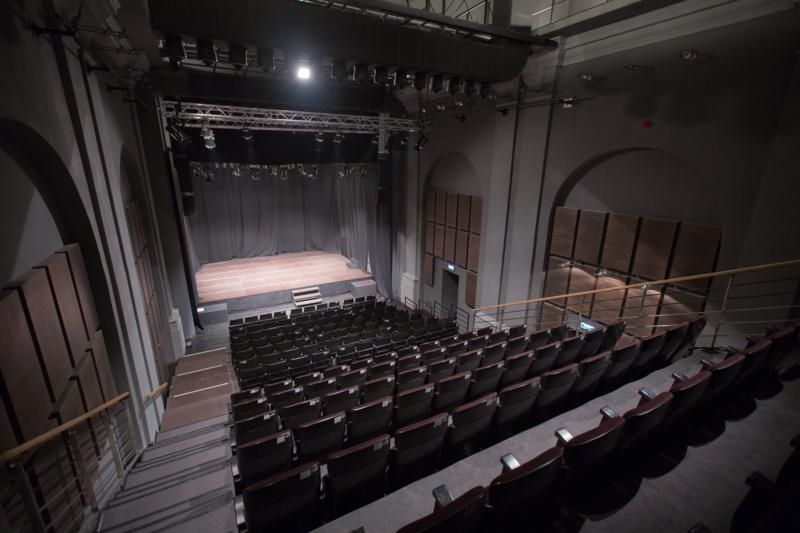 Currently it is a perfect place for presentation of small theatre forms, intimate concerts, meetings, lectures and workshops. 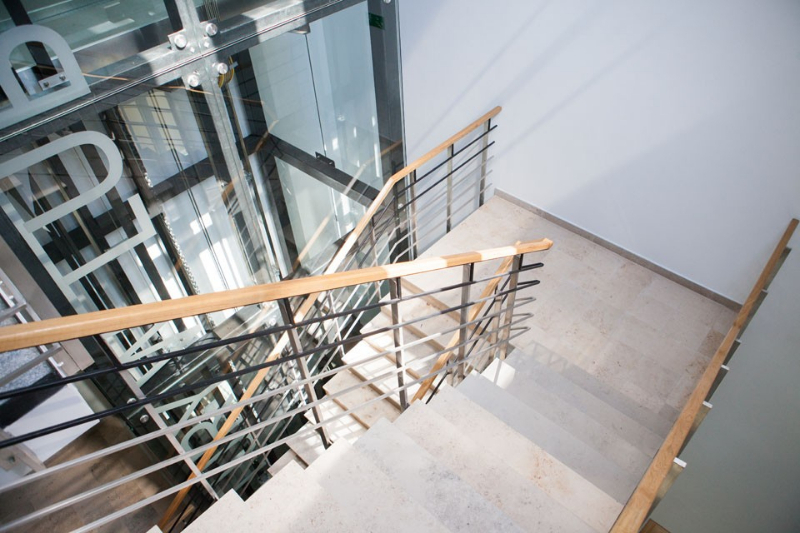 The space can be adapted according to the needs of particular events. 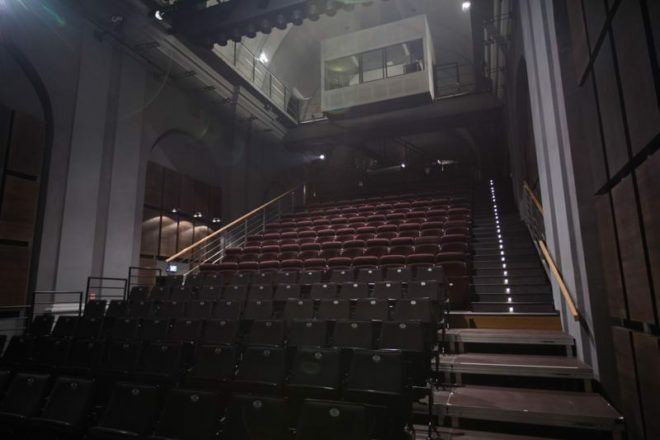 Cinema is one of the newly created spaces in the Centre for Culture. In addition to the regular presentation of ambitious cinematography, it is used extensively for a variety of events. 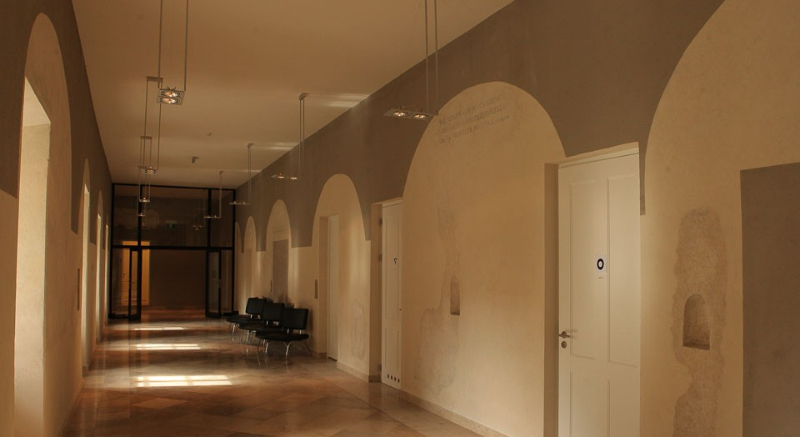 Beautiful walls decorated with frescoes form the backdrop for conferences, sessions, presentations and even less formal meetings. 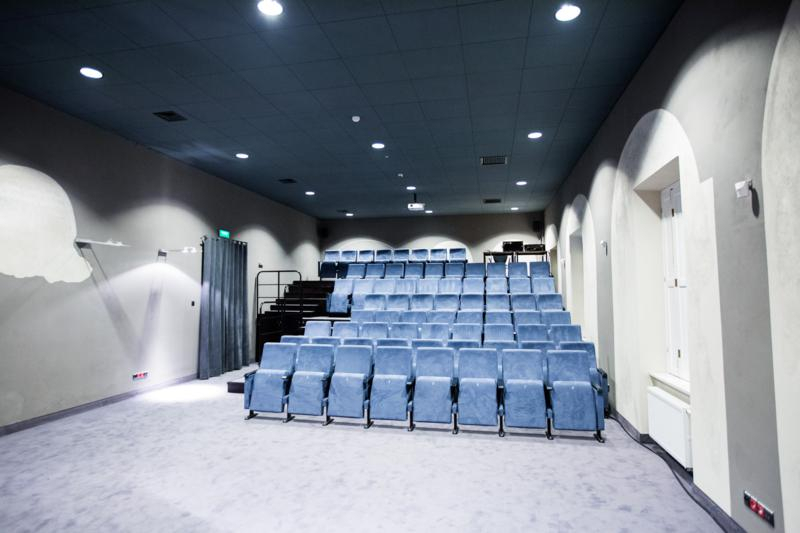 The Cinema is equipped with professional audio-visual equipment for film projection. The amphitheatre seating consists of 70 seats. It is possible to add extra chairs. Cinema’s foyer is one of the most beautiful corridors in the whole building. Preserved here are decorative elements from the convent days. 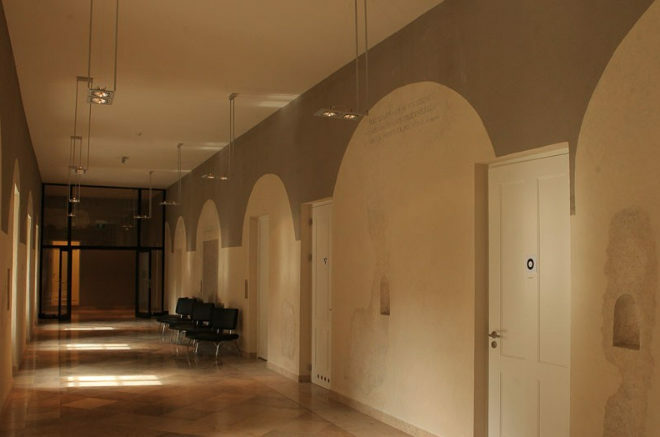 Numerous frescoes, wall colours, mysterious niches and discreet lighting exude the atmosphere of this place – it all makes for an interesting space that can be the backdrop for exhibitions, shows and banquets. 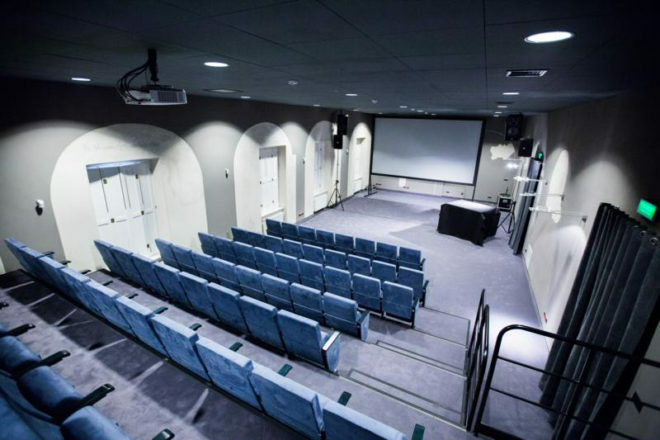 The Black Room and the Cinema are located on the first floor. 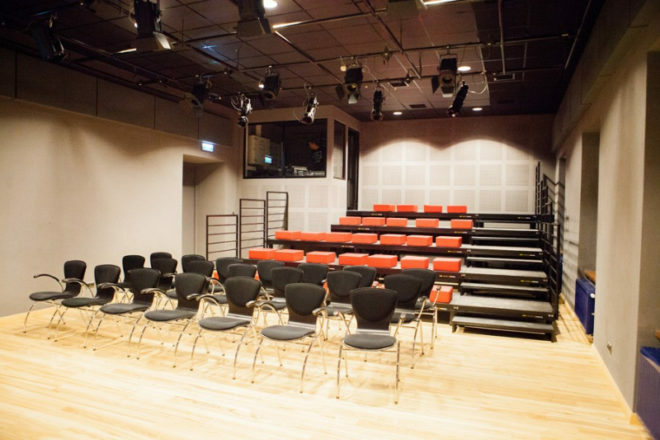 Rehearsal studios 1-3 are equipped with dance floors, mirrors and are designed for theatre and dance workshops and rehearsals. Rehearsal studio nr 4 is designed for dance and theatre rehearsals. It also works well as a place for intimate workshops, meetings and presentations. All rehearsal studios are located on the first floor. The Inner Courtyard is one of the most interesting spaces in the Centre for Culture in Lublin, hidden within the walls of the former convent. In the past it served as a place of contemplation, later to become a stage of extraordinary cultural events. In the summer time, the partially shaded space of the courtyard is a unique place for presentations, concerts, family meetings or banquets in the open air. In the autumn it is possible to partially cover the courtyard with roofs and set out heaters. The square in from of the Centre for Culture is the gate to the building. It can constitute a separate, open space for diverse activities, easily accessible to all residents of the city. It has an impressive exposition thanks to the lowering of the surrounding terrain; together with the adjacent park areas it can provide a unique backdrop for outdoor events intended for a wide audience.